A NASA funded research project has discovered the existence of unexplained portals between the Earth and the Sun. NASA has turned science fiction into science fact by announcing the discovery of hidden ‘portals’ in Earth’s magnetic field.Called X-points or electron diffusion regions, rather than being intergalactic folds in space leading to different galaxies and planets, these portals aid in the transfer of the magnetic field from the Sun to Earth.Essentially, these portals aid in the transfer of tons of magnetically charged particles that flow from the Sun causing the northern and southern lights and geomagnetic storms.’We call them X-points or electron diffusion regions,’ said University of Iowa plasma physicist Jack Scudder, who is studying them.’They’re places where the magnetic field of Earth connects to the magnetic field of the Sun, creating an uninterrupted path leading from our own planet to the sun’s atmosphere 93 million miles away. Double Vision? Not quite! Engineers and Technicians assembled the Propulsion Module/Thrust Tube with the Spacecraft Deck for the second of four MMS Observatories. Spacecraft #1 (left) was integrated in August, and Spacecraft #2 (right) just recently in October 2012. Although they are identical in build, the ribs of the thrust tubes were color coded to aid engineers during assembly. 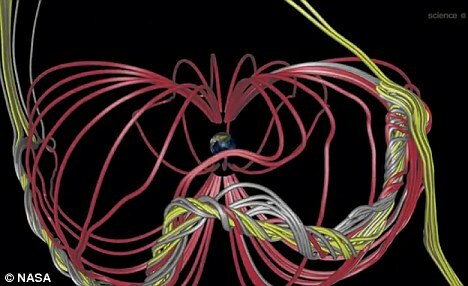 The primary scientiﬁc objective of the MMS mission is to study the phenomenon of magnetic reconnection within the Earth’s magnetosphere. To accomplish this objective, the MMS mission conﬁguration comprises four identical spinning spacecraft. These spacecraft form a tetrahedron formation within a predeﬁned region of scientiﬁc interest. The top plot shows where the formation is while the lower plot shows the relative dynamics as seen by the reference spacecraft. The spacecraft form a regular tetrahedron as it enters the region of interest. Animation was done in MATLAB. NASA has turned science fiction into science fact by announcing the discovery of hidden ‘portals’ in Earth’s magnetic field. Called X-points or electron diffusion regions, rather than being intergalactic folds in space leading to different galaxies and planets, these portals aid in the transfer of the magnetic field from the Sun to Earth. 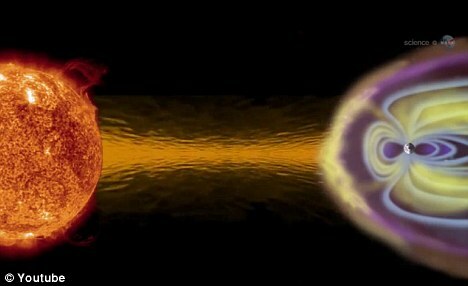 Essentially, these portals aid in the transfer of tons of magnetically charged particles that flow from the Sun causing the northern and southern lights and geomagnetic storms. ‘We call them X-points or electron diffusion regions,’ said University of Iowa plasma physicist Jack Scudder, who is studying them. Surrounding the Earth at distances from 10,000 to 30,000 miles away, the portals have been observed by NASA’s THEMIS spacecraft and Europe’s Cluster probes. Specifically where the Earth and the Sun’s magnetic fields connect and where the unexplained portals are formed. 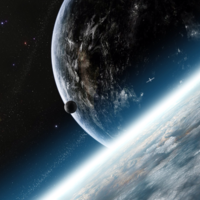 While Scudder and his team at the University if Iowa are unclear as to what the portals are yet, they have observed charged particles flowing through them, causing electro-magnetic phenomemon in the Earth’s atmosphere. 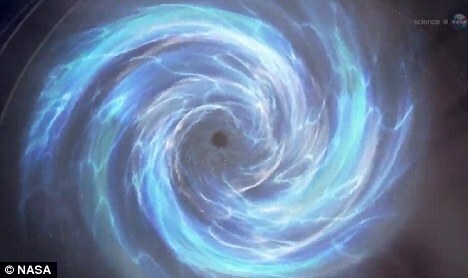 ‘Magnetic portals are invisible, unstable and elusive. They open and close without warning and there are no signposts to guide us in,’ said Scudder. Some of the portals are miniscule and disappear almost instantly, while some are large and fairly stable. Looking forward to the launch of the MMS mission in 2014, Scudder and his team have calibrated the technology sufficiently to locate the portals. ‘We have found five simple combinations of magnetic field and energetic particle measurements that tell us when we’ve come across a X-point,’ said Scudder. I most definitely plan to keep you updated and informed. (Oct. 8, 2012) — Astronomers using the Atacama Large Millimeter/submillimeter Array (ALMA) have discovered a totally unexpected spiral structure in the material around the old star R Sculptoris. This is the first time that such a structure, along with an outer spherical shell, has been found around a red giant star. It is also the first time that astronomers could get full three-dimensional information about such a spiral. The strange shape was probably created by a hidden companion star orbiting the red giant. (Oct. 9, 2012) — The European Space Agency’s Herschel space observatory has discovered enough water vapour to fill Earth’s oceans more than 2000 times over, in a gas and dust cloud that is on the verge of collapsing into a new Sun-like star. Small spherical objects fill the field in this mosaic combining four images from the Microscopic Imager on NASA’s Mars Exploration Rover Opportunity. The view covers an area about 2.4 inches (6 centimeters) across, at an outcrop called “Kirkwood” in the Cape York segment of the western rim of Endeavour Crater. The individual spherules are up to about one-eighth inch (3 millimeters) in diameter. The Microscopic Imager took the component images during the 3,064th Martian day, or sol, of Opportunity’s work on Mars (Sept. 6, 2012). For a color view of the Kirkwood outcrop as Opportunity was approaching it two weeks earlier, see PIA16128 . 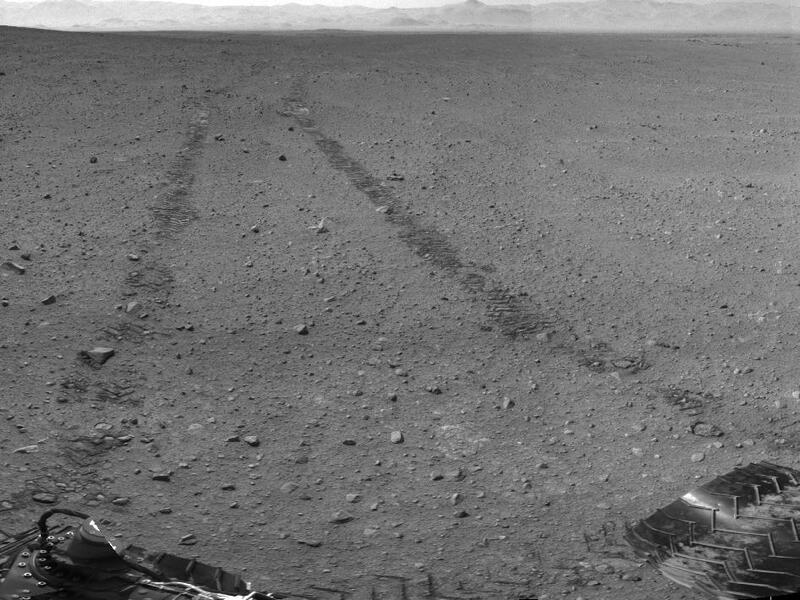 Opportunity discovered spherules at its landing site more than eight-and-a-half years earlier. 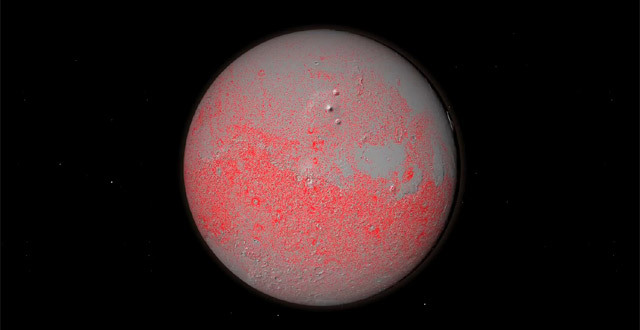 Those spherules were nicknamed “blueberries.” They provided important evidence about long-ago wet environmental conditions on Mars because researchers using Opportunity’s science instruments identified them as concretions rich in the mineral hematite deposited by water saturating the bedrock. A picture of the “blueberries” from the same Microscopic Imager is PIA05564 . The spherules at Kirkwood do not have the iron-rich composition of the blueberries. They also differ in concentration, distribution and structure. 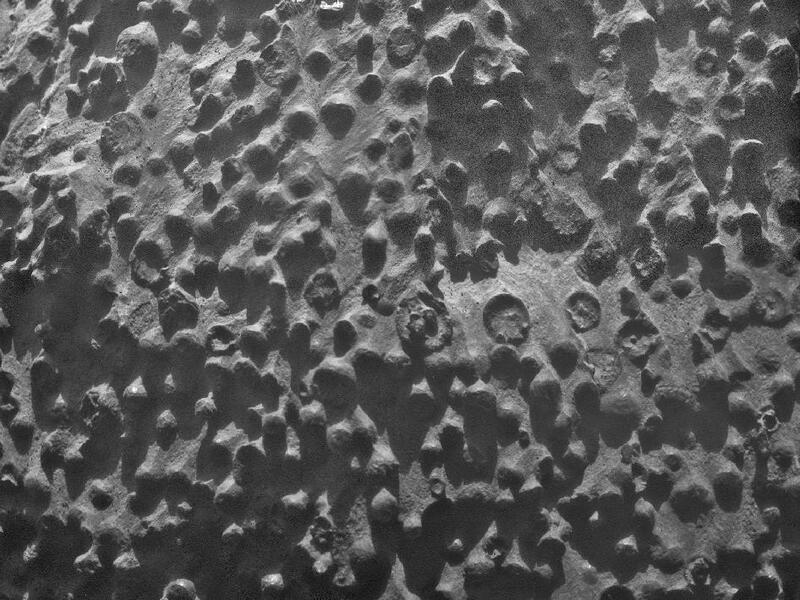 Some of the spherules in this image have been partially eroded away, revealing concentric internal structure. Opportunity’s science team plans to use the rover for further investigation of these spherules to determine what evidence they can provide about ancient Martian environmental conditions. Researchers have finished counting, outlining and cataloging a staggering 635,000 impact craters on Mars that are roughly a kilometer or more in diameter. “This database is a giant tool that will be helpful in scores of future Mars studies ranging from age-dating and erosion to planetary habitability and to other applications we have not even thought of yet,” Dr Robbins said. A paper on the subject appears in the Journal of Geophysical Research. Co-author Dr Brian Hynek, also of the University of Colorado in Boulder, said knowing more about the history and extent of Martian cratering has implications for better understanding the potential for past life on Mars. Cataloging the cratering of Mars is helping scientists understand a time a few hundred million years after the inner Solar system formed, including an event about 3.9 billion years ago known as the “Late Heavy Bombardment” in which asteroids as large as Kansas rained down on Earth. The huge Mars rover Curiosity has begun its second month exploring the Red Planet, and you can tune in to find out the latest details straight from NASA during a live webcast today (Sept. 12). NASA will hold a teleconference today at 2 p.m. EDT (11 a.m. PDT/1800 GMT) update reporters and the public on the Curiosity rover’s status. The Curiosity Mars rover team is expected to release new photos of the Martian surface during the briefing, which will be streamed live. NASA’s Mars rover Curiosity landed on the Red Planet on Aug. 5, beginning a two-year mission to explore its Gale Crater landing site. The rover is designed to study the Martian environment in unprecedented detail and investigate whether the region could have ever supported microbial life. The car-size rover is the largest, most capable rover ever sent to the Red Planet and has already snappedjaw-dropping photos of Mars, as well as of itself. NASA’s Jet Propulsion Laboratory in Pasadena, Calif., is overseeing the $2.5 billion rover mission. 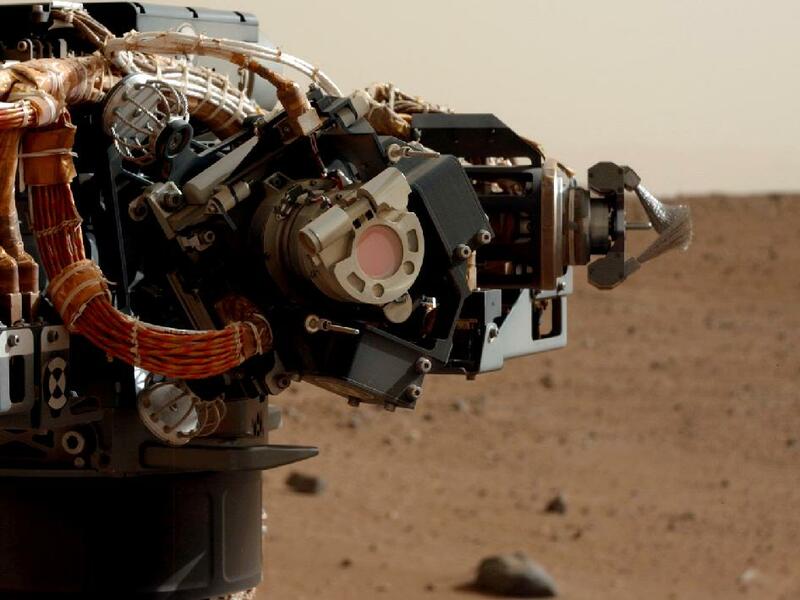 This image shows the Alpha Particle X-Ray Spectrometer (APXS) on NASA’s Curiosity rover, with the Martian landscape in the background. The image was taken by Curiosity’s Mast Camera on the 32nd Martian day, or sol, of operations on the surface (Sept. 7, 2012, PDT or Sept. 8, 2012, UTC). APXS can be seen in the middle of the picture. This image let researchers know that the APXS instrument had not become caked with dust during Curiosity’s dusty landing. 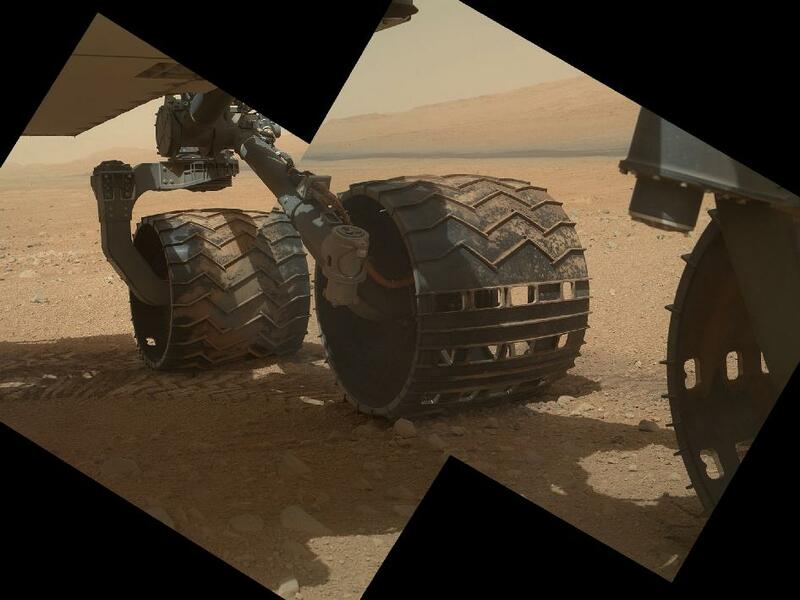 This view of the three left wheels of NASA’s Mars rover Curiosity combines two images that were taken by the rover’s Mars Hand Lens Imager (MAHLI) during the 34th Martian day, or sol, of Curiosity’s work on Mars (Sept. 9, 2012). In the distance is the lower slope of Mount Sharp. The camera is located in the turret of tools at the end of Curiosity’s robotic arm. The Sol 34 imaging by MAHLI was part of a week-long set of activities for characterizing the movement of the arm in Mars conditions. 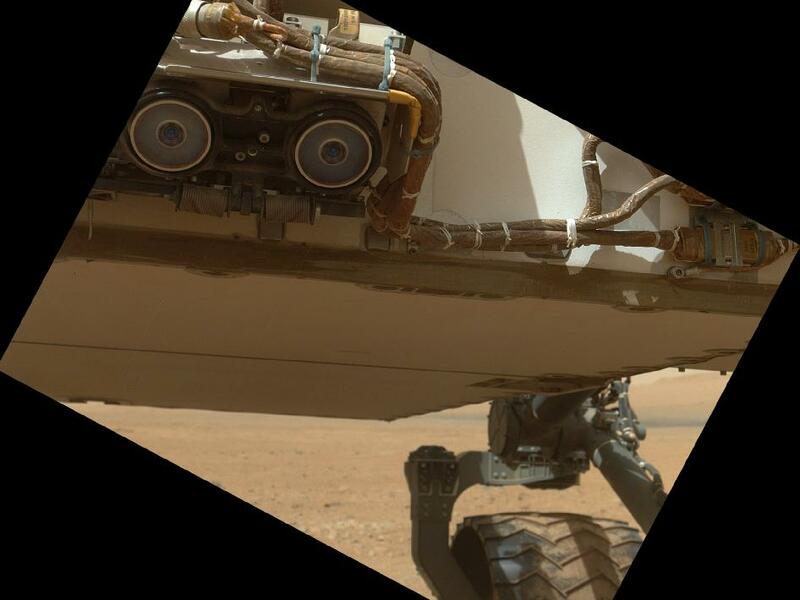 The left eye of the Mast Camera (Mastcam) on NASA’s Mars rover Curiosity took this image of the camera on the rover’s arm, the Mars Hand Lens Imager (MAHLI), during the 30th Martian day, or sol, of the rover’s mission on Mars (Sept. 5, 2012). MAHLI is one of the tools on a turret at the end of the rover’s robotic arm. When this image was taken, the arm had raised the turret to about the same height as the camera on the mast. The Mastcam’s left eye has a 34-millimeter focal length lens. The image shows that MAHLI has a thin film or coating of Martian dust on it. This dust accumulated during Curiosity’s final descent to the Martian surface, as the Mars Science Laboratory spacecraft’s descent stage (or sky crane) engines were disrupting the surface nearby. Effects of the dust were seen in the first image taken of Mars by MAHLI, on the day after landing (http://photojournal.jpl.nasa.gov/catalog/PIA15691). The MAHLI lens is protected from dust accumulation by a transparent dust cover. If the dust cover were clean, the images would appear as clear as if the cover were open. The reddish circle near the center of the Mastcam Sol 30 image is the window of MAHLI’s dust cover, with a diameter a little less than a soda can’s diameter. Inside the lens, each of the nine glass lens elements and the front sapphire window are bonded or cemented in place by a red-colored silicone RTV (room temperature vulcanizing) material. This is a space-qualified “glue” that holds the lens elements in place. When the MAHLI is viewed from certain angles, this material gives one the impression that the inside of the lens is red. The mechanism at the right in this image is Curiosity’s dust removal tool, a motorized wire brush. This scene shows the surroundings of the location where NASA Mars rover Curiosity arrived on the 29th Martian day, or sol, of the rover’s mission on Mars (Sept. 4, 2012). It is a mosaic of images taken by Curiosity’s Navigation Camera (Navcam) following the Sol 29 drive of 100 feet (30.5 meters). Tracks from the drive are visible in the image. For scale, Curiosity leaves parallel tracks about 9 feet (2.7 meters) apart. At this location on Sol 30, Curiosity began a series of activities to test and characterize the rover’s robotic arm and the tools on the arm. The panorama is centered to the north-northeast, with south-southwest at both ends. This view of the lower front and underbelly areas of NASA’s Mars rover Curiosity was taken by the rover’s Mars Hand Lens Imager (MAHLI) during the 34th Martian day, or sol, of Curiosity’s work on Mars (Sept. 9, 2012). Also visible are the hazard avoidance cameras on the front of the rover. 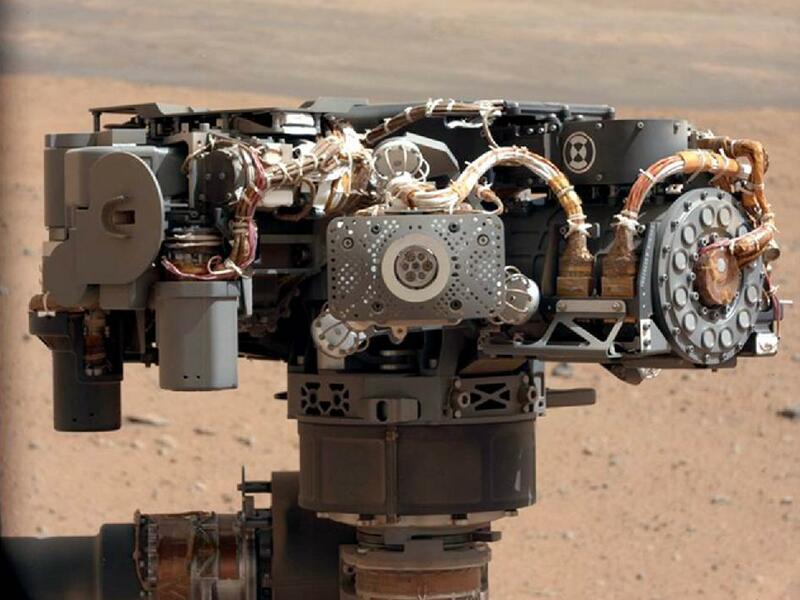 MAHLI is located in the turret of tools at the end of Curiosity’s robotic arm. The Sol 34 imaging by MAHLI was part of a week-long set of activities for characterizing the movement of the arm in Mars conditions. 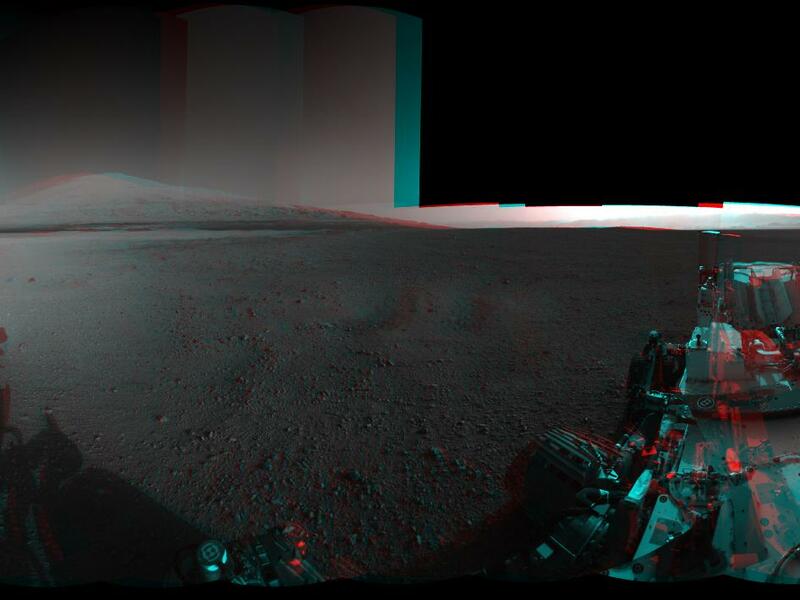 This 3-D image from NASA’s Curiosity was taken from the rover’s Bradbury Landing site inside Gale Crater, Mars, using the left and right eyes of its Navigation camera. Between the rover on the right, and its shadow on the left, looms the rover’s eventual target: Mount Sharp. The mountain’s highest peak is not visible to the rover from the landing site. This full-resolution, 360-degree stereo panorama was taken on sols 2 and 12 of the mission, or the 2nd and 12th Martian days since landing (Aug. 8 and 18, 2012). It requires viewing with the traditional red-blue 3-D glasses, with red going over the left eye. The right and left stereo pairs are also available for creating your own 3-D imagery.